I am blessed. In a couple of days I will be celebrating my third Mother's Day. My son, Micah, is a spunky two-year old with a boatload of personality. And for the first time he will probably "get" Mother's Day and I fully expect lots of kisses and hugs and perhaps a handmade card, with the help of my husband of course. It will be a good day. But it will also be bittersweet. 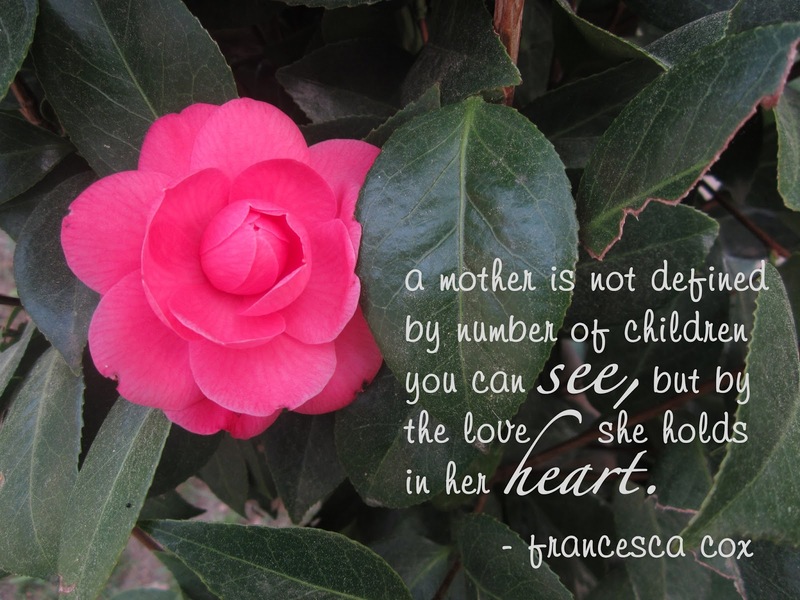 It will be my first Mother's Day without my daughter. My sweet Evie Caris was born on November 8, 2012 and went to Jesus just four hours later. While I am forever grateful that she is safe in the arms of Jesus, I will also forever mourn that she is not here with me. Each day on this earth without her is an uphill journey, but I imagine Mother's Day will deliver an extra dose of difficult. No matter how much affection my son showers on me, my heart will be empty for the affection of one sweet baby girl. To continue reading, please visit 20-Something Homemaker. Thank you so much Carrie for this opportunity!